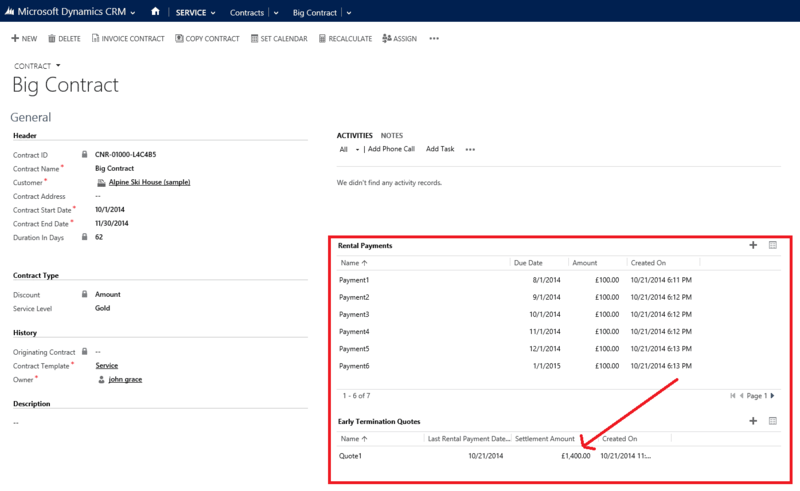 SmartFlows allow you to automate business processes by allowing you to create a flow that can collect, calculate, update and create Dynamics 365/CRM information. 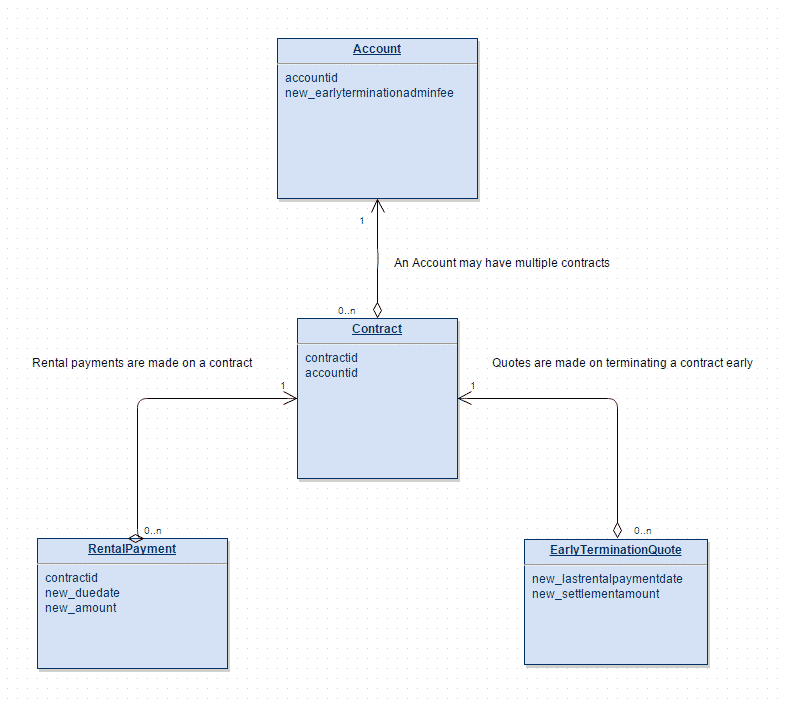 These SmartFlows can then be connected into any user action such as saving a record, executing a Dialog, Workflow or Action process. In most cases it will be preferable build to business flow logic in a Decision Table (it is easier to visualize) but in some instances you will need to use the SmartFlow capability. 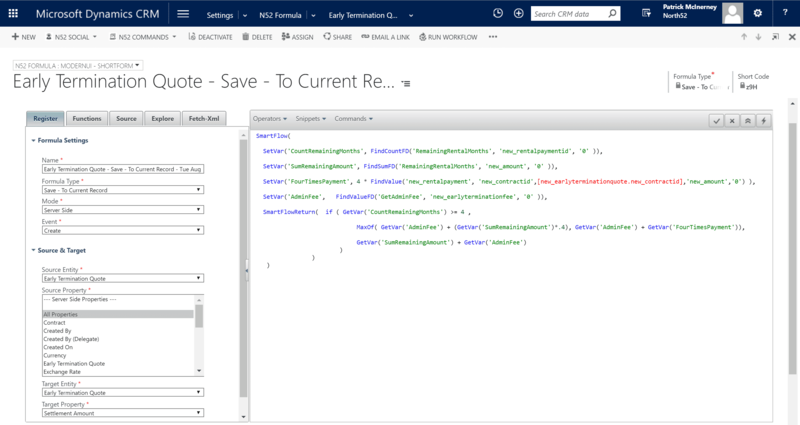 SmartFlows can execute logic, interact with the CRM database, call external web services, execute existing Workflows or Actions and even be set to run on a timed schedule by the North52 Scheduler. In this scenario we have a fictitious Insurance company that rents out vehicles. The rental agreement between the Insurance company and the customer is represented by a Contract. The Contract is made up of many (1:N) Rental Payments which are paid on a monthly basis. The business need here is to calculate the settlement amount when a contract is terminated early via an Early Termination Quote. This full sample with step by step instructions can be viewed on our knowledge base.